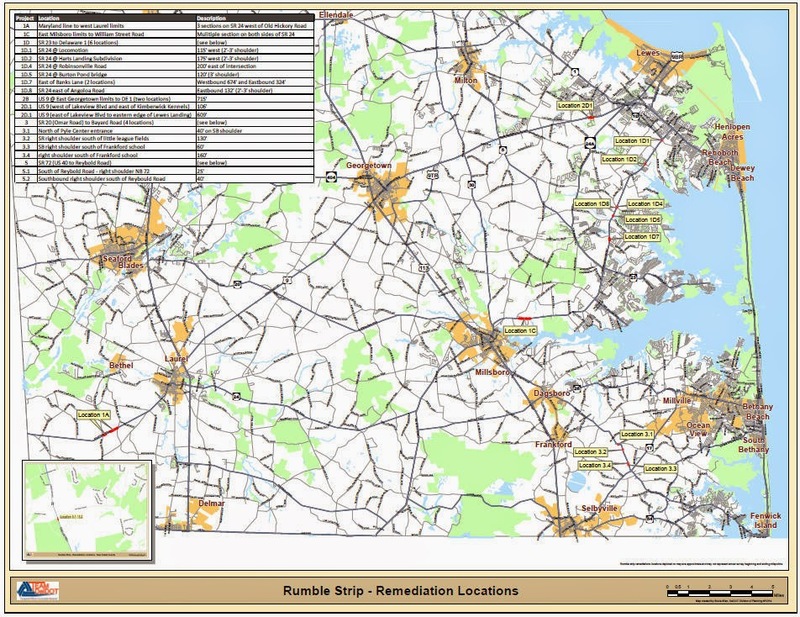 By Mark Luszcz, DelDOT's Chief Traffic Engineer -- As requested at the Bicycle Council meeting last week, attached is a map of locations that need to be repaired due to residual shoulders/bike lanes being less than 4 feet wide. Approximately 2 miles out of 70 installed need to be repaired. 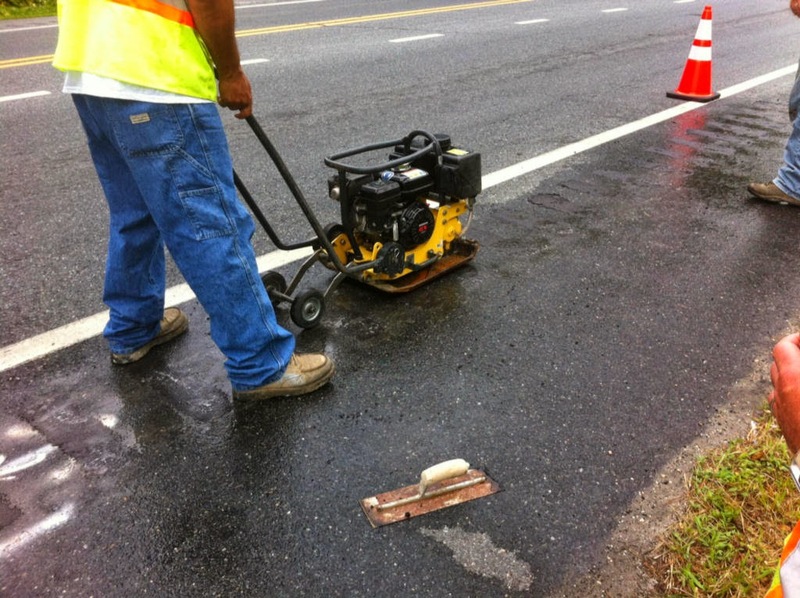 The test section of the patching repair on SR 24 near Robinsonville Road was installed yesterday. A photo is attached. For those of you in Sussex, any comments on the patched section would be appreciated. 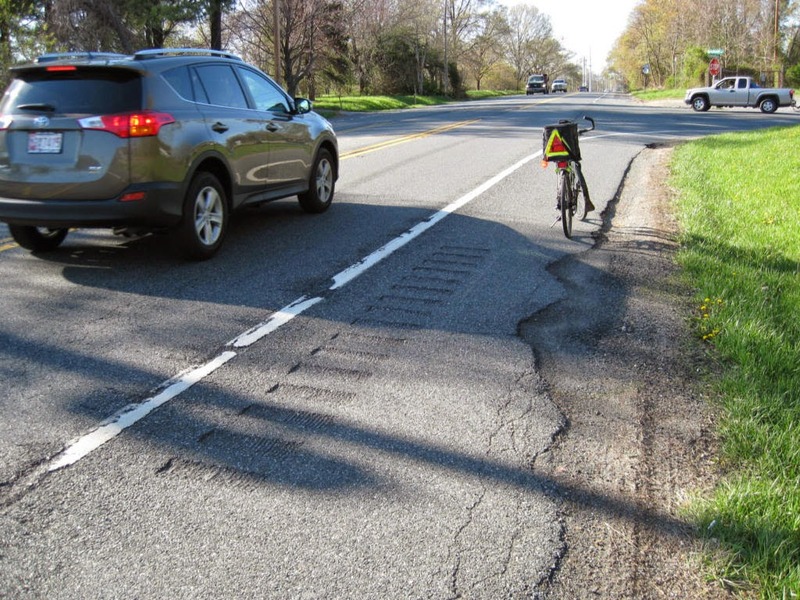 Several sections in New Castle County also need repair, as seen here on Route 72 in Bear. Poster's note: We truly appreciate Mark's investigation and quick response in getting this problem addressed. We are looking forward to revised Rumble Strip guidelines, that place them at the shoulder line instead of offset by 1' or more. For a full history of this problem, visit our section on Rumble Strips.